Most modern literatures were initially dominated by men who claimed, at times, to speak for women. But when given an opportunity, women spoke differently. This book tells the several stories of how Maharashtrian women found a ‘voice’ in the late nineteenth century. It shows how they created a literary space for themselves, deploying fiction to depict worlds other than those available in male writing, as well as dreams and aspirations unseen in society before they were articulated by their fiction. Having been excluded from mainstream prose, women also created a parallel reform discourse which displayed various shades of feminism. After an introductory overview of men and women writers of Marathi fiction before Independence, this book presents in translation the work of six iconic women writers: Kashibai Kanitkar, Indirabai Sahasrabuddhe, Vibhavari Shirurkar, Geeta Sane, Shakuntala Paranjpye, and Prema Kantak. Their novels and short stories unfold the journeys of articulate women towards new paradigms, and ultimately towards a demand for gender equality. MEERA KOSAMBI is a sociologist trained in India, Sweden, and the US. She has specialized in Urban Studies and Women’s Studies. She was Professor and Director of the Research Centre for Women’s Studies at the SNDT Women’s University in Mumbai. She has taught, lectured, and published widely in India and abroad. Her books include Returning the American Gaze: Pandita Ramabai’s ‘The Peoples of the United States’ (1889) (2003), Crossing Thresholds: Feminist Essays in Social History (2007), and Feminist Vision or ‘Treason against Men’? 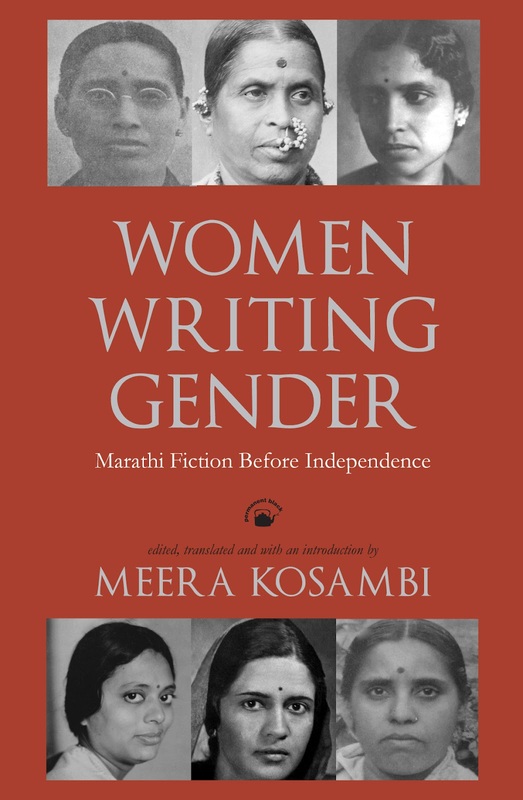 Kashibai Kanitkar and the Engendering of Marathi Literature (2008). Studies and its potential to complicate, nuance, and challenge entrenched shibboleths of historical change in South Asia. -- India Review, vol. 11, no. 3, 2012. 'the book is a major contribution to our understanding of the subject. It gives enough evidence that the caste system, and its virulent strain, untouchability, might not be "age-old" if not invented by the colonial state, at least the system had acquired its current shape during the past couple of centuries. In a way, the rise of the BSP, governing on its own in UP, vindicates Rawat’s version of the Chamars’ recent history.' -- Contemporary South Asia, vol. 20, no. 2, 2012. Often identified as leatherworkers or characterized as a criminal caste, the Chamars of North India have long been stigmatized as untouchables. 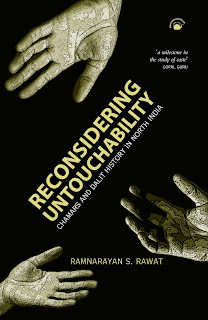 In this pathbreaking study, Ramnarayan S. Rawat shows that in fact the majority of Chamars have always been agriculturalists, and their association with the ritually impure occupation of leatherworking has largely been constructed through Hindu, colonial, and postcolonial representations of untouchability. Rawat undertakes a comprehensive reconsideration of the history, identity, and politics of this important Dalit group. Using Dalit vernacular literature, local-level archival sources, and interviews in Dalit neighborhoods, he reveals a previously unrecognized Dalit movement which has flourished in North India from the earliest decades of the twentieth century and which has recently achieved major political successes. This book won the Joseph W. Elder Prize in the Indian Social Sciences, American Institute of Indian Studies. Central Asia has been a strategic region in world history because of its central location in the Afro-Eurasian land mass, and because it was the hinge between several different ecological zones. From the border of the Iranian plateau to the edge of the Takla Makan desert, and from the foothills of the Kunlun Mountains to the Taiga zone of Siberia, Central Asia encompasses peoples who spoke many languages and practised various forms of livelihood. 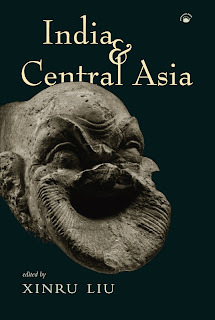 For historians who have been focused on individual civilizations, or the societies which have left written records, Central Asia has seemed an ocean full of dark energy. From time to time, ‘barbaric’ nomads flew out from Central Asia to loot villages and destroy cities in East and South Asia, and even Europe. In recent decades, research on the lives of nomadic people on the steppe, archaeological excavations of urban settlements on oases along the Amu and Sir rivers, and the discovery of more Hellenistic remains have made scholars look at this region from a different perspective. Looking towards Central Asia from the Indian subcontinent shows that the dynamics in Central Asia were often the momentum for fundamental changes in history which brought new cultural elements to South Asia. XINRU LIU has a PhD from the University of Pennsylvania. She teaches South Asia, Central Asia, and World History at the College of New Jersey, Ewing. She is also associated with the Institute of History and the Institute of World History, Chinese Academy of Sciences. Her many publications include Ancient India and Ancient China (1988); Silk and Religion: An Exploration of Material Life and the Thought of People in A.D. 60 –1200 (1996); Connections Across Eurasia: Transportation, Communications, and Cultural Exchange on the Silk Roads (with Lynda Norene Shaffer; 2007); and The Silk Road in World History (2010). In the Permanent Black pipeline for next year (2013) are two wonderfully interesting books by two great historians of ancient India, D.D. 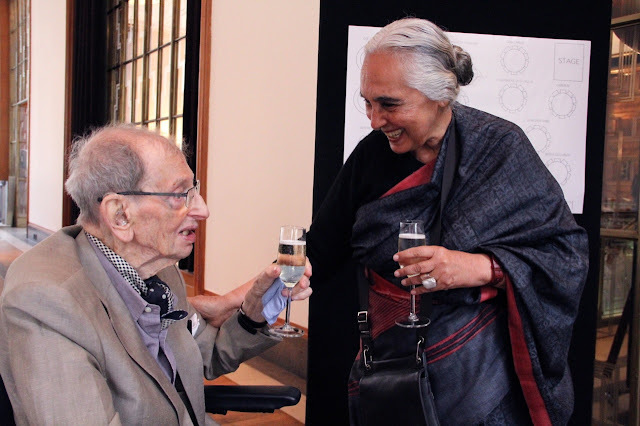 Kosambi and Romila Thapar. The book by Kosambi (actually, two parts of it are by him and one part is on him) is called UNSETTLING THE PAST. The book by Thapar is called THE PAST BEFORE US. The Kosambi book is a collection of obscure and pretty unknown writings by D.D. Kosambi alongside assessments of his contribution to various areas of scholarship -- ancient history, mathematics, Sanskrit literature, numismatics, and marxism as a method for understanding the past. An array of the great man's unpublished letters, unearthed from the Harvard and TIFR archives by his daughter Meera Kosambi, will comprise one section of the book. Kosambi's correspondence includes an exchange with Robert Graves on comparative aspects of Indian and Greek myth. Almost no one has ever seen this cache of incredibly interesting letters which reveal new facets of Kosambi's insights, range of interests, methods, friendships, and affections. Some wonderful photos of Kosambi, mostly unavailable, will also feature in the book. They reveal a man resembling a Greek god, 5 ft. 10 in. tall, who was humane, compassionate, and caring in unexpected ways, as for example in the photo below, showing him bathing one of his two dogs, Chatya. (The other one was called Bonzo, who too will be revealed in the book.) Some people have it all: intellect, physique, Harvard education, bungalow in Poona ... Kosambi had it all by the spadefull. It comes almost as a relief to know that in later life he suffered from arthritis -- though even about his illness Kosambi is wonderfully blunt. In the last year of his life, in one of his letters to a Japanese collaborator, he writes presciently: "I find that my health trouble has been due to long standing and apparently incurable virus infection. The main site is the sinuses, with secondary sites in the chest and bowels. The arthritis is a result of this, and so cannot be cured except by death."